Guide your clients through your creative process and collaborate with ease. By structuring your project as a simple timeline, both you and your client will know the exact status of your project at a glance. 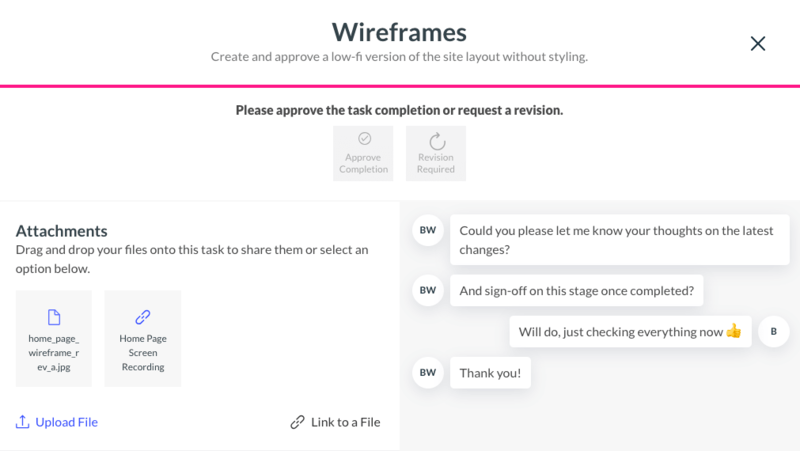 Collaborate with your clients during each step in your creative process with real time chat, file sharing and tracked to-do's and client feedback. 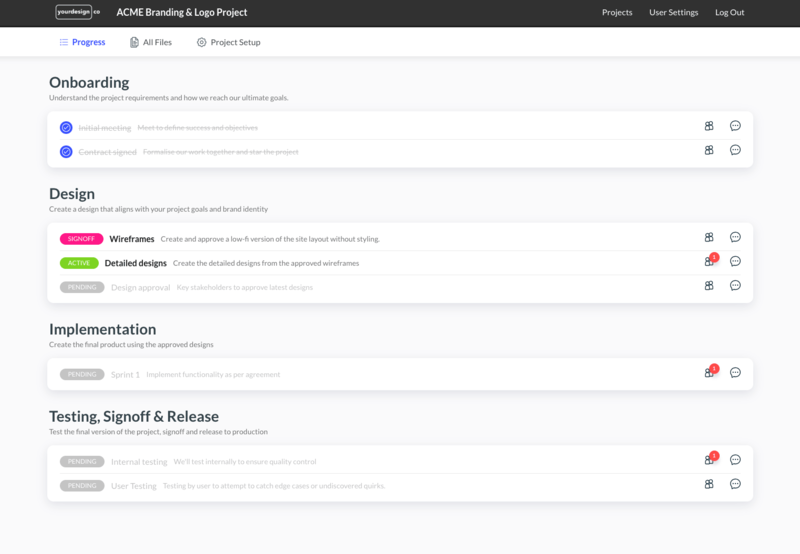 Request client approval at key stages in your project in order to prevent scope creep and ensure everyone's on the same page. 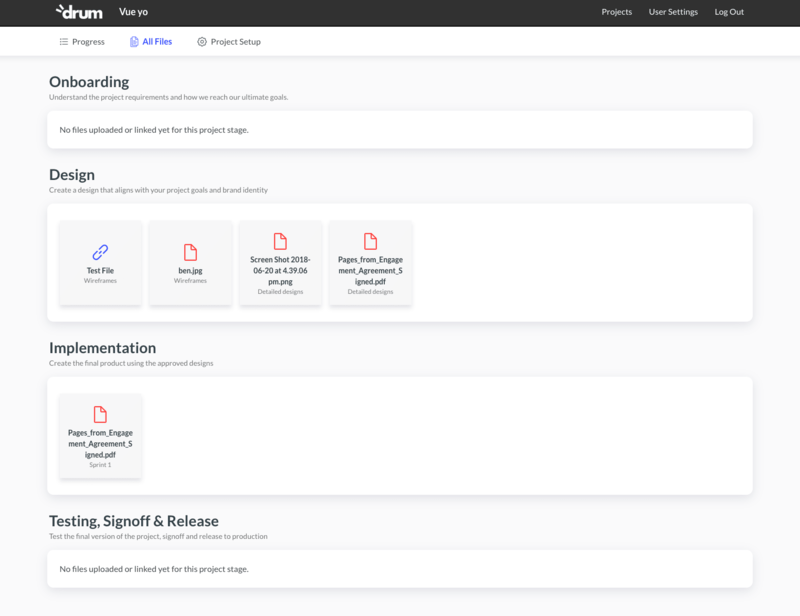 Never crawl through your inbox for a key project document again! 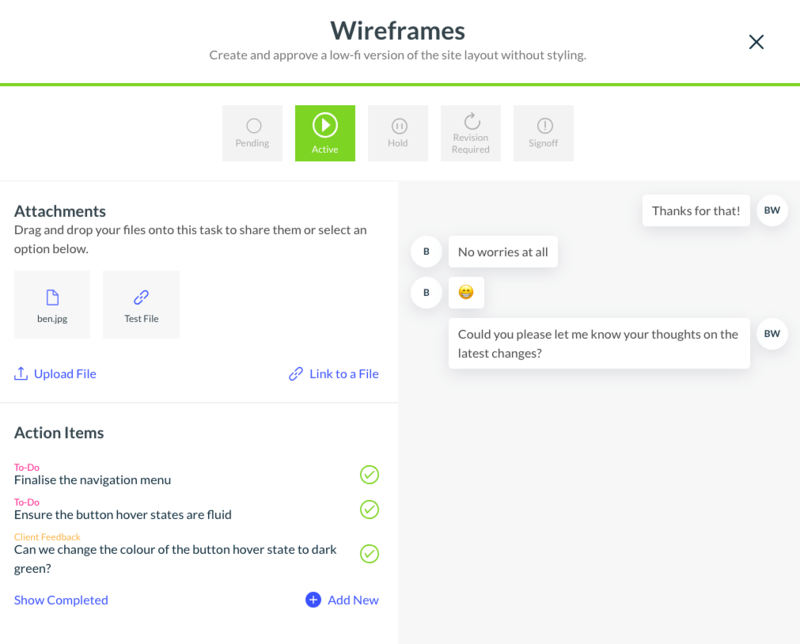 Instead, access your shared project documents in less than two clicks. 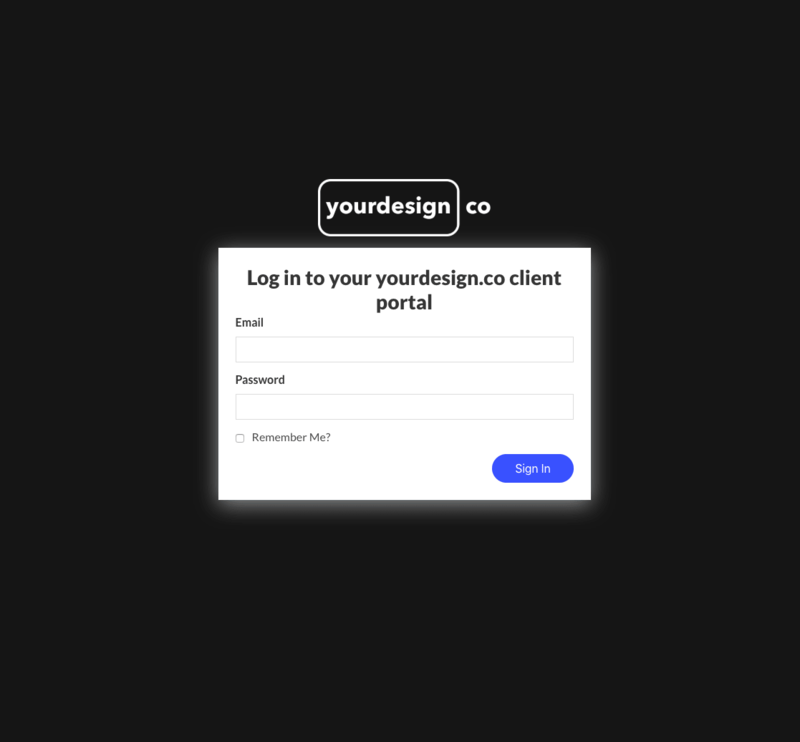 Customise your client portals with your company logo and colours. Your business is the star, not Drum. Try Drum for FREE with an unlimited time trial. It's the client portal software you've been searching for.